Today’s healthcare leadership must deal with unprecedented complexity, from daily operational challenges to evolving technology and new regulations. Earning an MBA in healthcare management empowers individuals who want to do more than simply manage these issues; instead, they can successfully balance the demands of facility management with the ability to create positive environments for their staff and patients. Our program provides the foundational business knowledge of an MBA with comprehensive expertise in healthcare management theory and practice. You’ll gain a deep understanding of complexity in the healthcare sector, and you’ll also have opportunities to apply healthcare management strategies to real cases across the gamut of healthcare settings. Graduates of this specialization will be prepared to enter healthcare administration roles in a variety of care settings, including clinics, hospitals, rehabilitation centers and more. 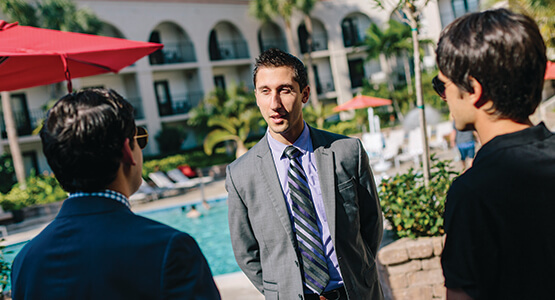 If you’d like to learn more about the Lynn University online MBA and its specializations, use the form provided to request more information and download a free brochure.